Ross & Cromarty Roots | Hector & Johanna (Maclennan) Macbeath. 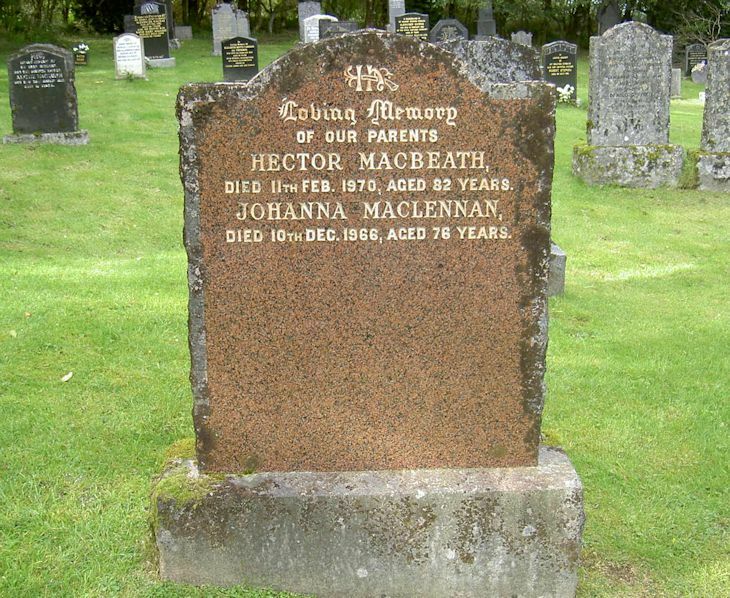 Hector & Johanna (Maclennan) Macbeath. In/loving mmeory/of/HECTOR MACBEATH/died 11th Feb. 1970,aged 82 years/JOHANNA MACLENNAN/died 10th Dec. 1966, aged 76 years.